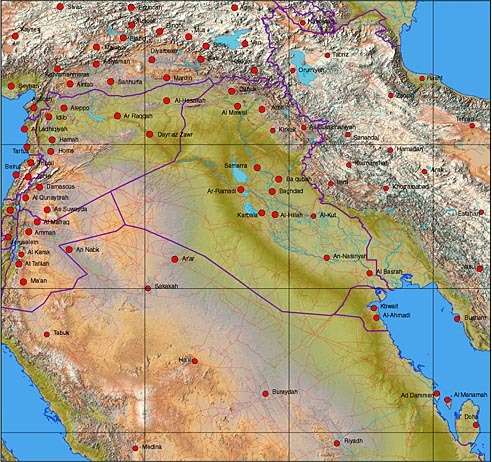 rivers, roads, towns, town names, and national borders. 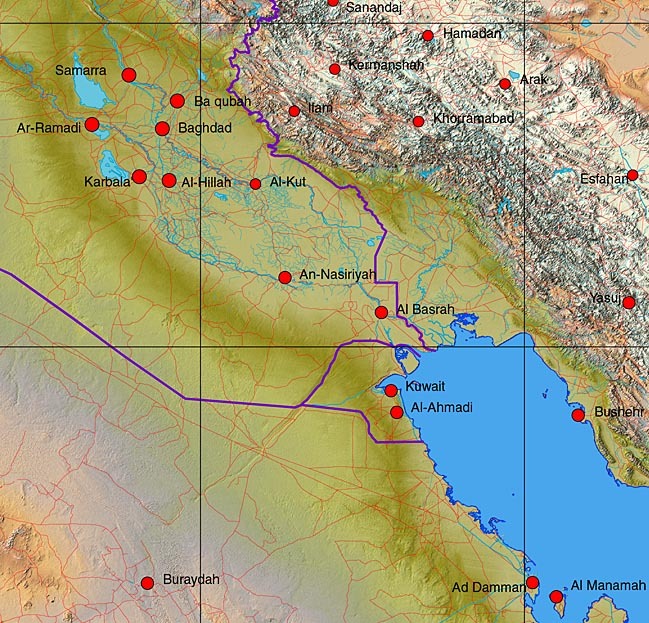 Detail of the same map showing Northern Persian Gulf including Iraq, Kuwait, Saudi Arabia and Iran. There is an alternate choices of relief map that can placed behind a multi layered Illustrator EPS vector map.